We could make some completely arbitrary guesses about what will be trending in the world of branding, SEO or web design in 2019 but that can be about as useful to you as getting your palms read. 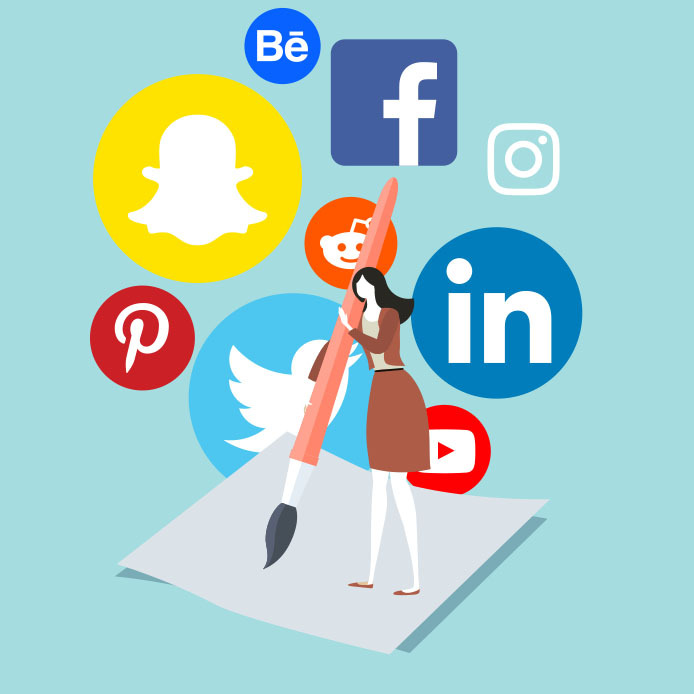 So while we’re still at the beginning of the year we think it’s time to give your social media presence its annual check-up, ensuring you head into 2019 with you (or your business) looking it’s best and healthiest! 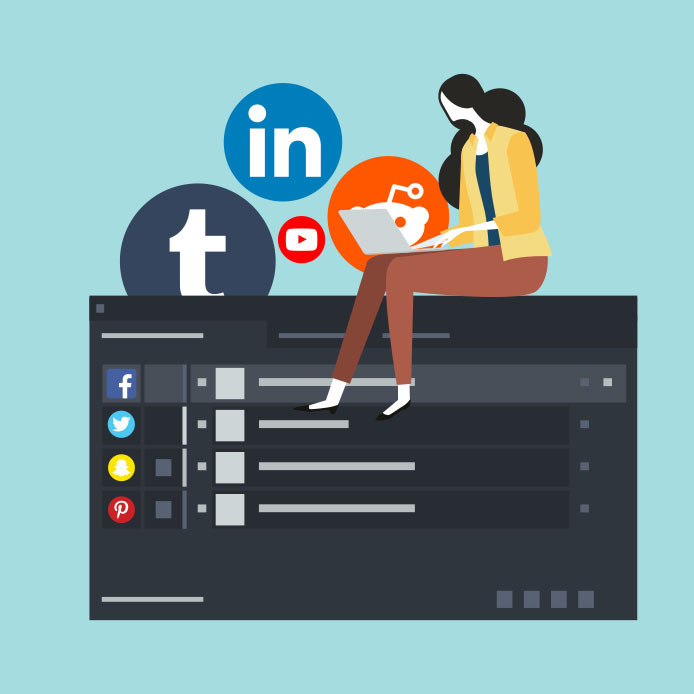 Whether Social Media Marketing (SMM) is something you’re just starting to get a grip on, or you were born with a 10k following on Insta, keeping on top of what’s going to be the next big thing in social media can be daunting at best! TikTok seemingly came out of nowhere last year as the new video sharing app must-have, who knows how long it’s going to remain popular? This came at a time when Snapchat’s share of the video marketplace took a nose dive over the better half of 2018 (as did it’s share price). Some networks are getting incredibly niche, with new apps like Workyard and RIDERS targeting those working in the construction industry and extreme sports enthusiasts respectively you never know where potential followers might be hiding! Take a look in the Social Media category of either the app store or the Google play store for the best idea of what new apps are out, listen to your friends and see what they’re using or what they’ve given the flick. Speaking of giving networks the flick, even existing networks are constantly shifting in popularity from one week to the next. Have an honest look at all the networks you’re currently on and adopt a Marie Kondo mindset. Look at your Twitter account and think, does this spark joy? If not, put your energies elsewhere. Remember when Snapchat was really popular? Looking at the stories section now is like looking at a wasteland of bad sponsored content and not a lot else. Make sure your online presence is current and it’s where the people are. Remember when Facebook had that brief moment where it tried to get into the hashtag game? If you’re one of those people that still use hashtags on your Facebook posts, whether you’re a person or for your business, you need to stop in 2019 (but really anytime is a good time to quit). But up your hashtag game on Instagram and Twitter, RIGHT NOW! Now this is something you should constantly be doing regardless but perhaps you’ve gotten a little complacent with your hashtag usage, the cache that Instagram keeps of your previously used tags makes the whole process much simpler (and less carpel-tunnel inducing) but you’ve got to stay on top of which hashtags are relevant to you and your content. There are always services (ranging from free but fairly useless to paid and maybe slightly less useless) that you can use to quickly and easily grab a bunch of hashtags relevant to you, but the best thing for you to do is by studying the hashtags used in accounts of influencers in your network. If you’re curating content then you should already be doing your research on what is going to work best, hashtags should be no different. 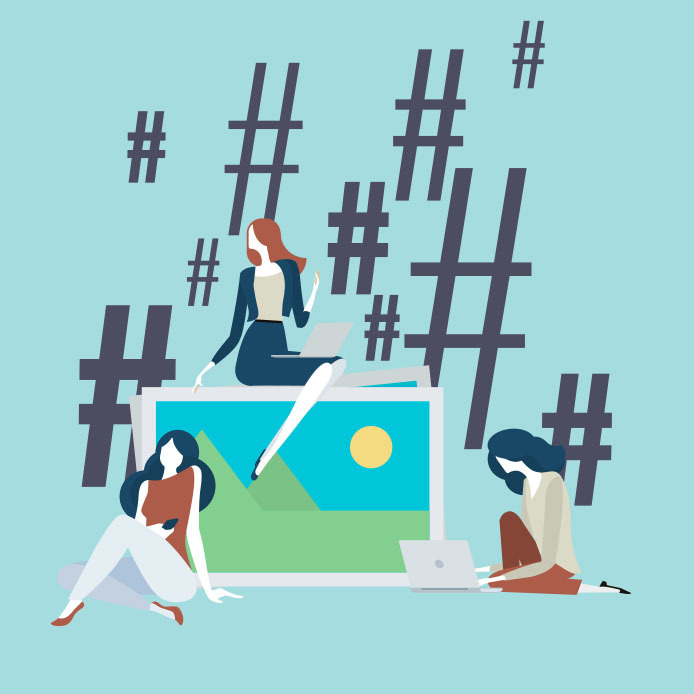 Trending hashtags can also provide you with inspiration for content if it’s relevant and increasing the visibility of your account on Instagram and Twitter. Just make sure you’re not using a hashtag about an international crisis to spruik charcoal toothpaste, it can leave a bad taste in people’s mouths (note that puns are just as hot as hashtags in the current social media climate). 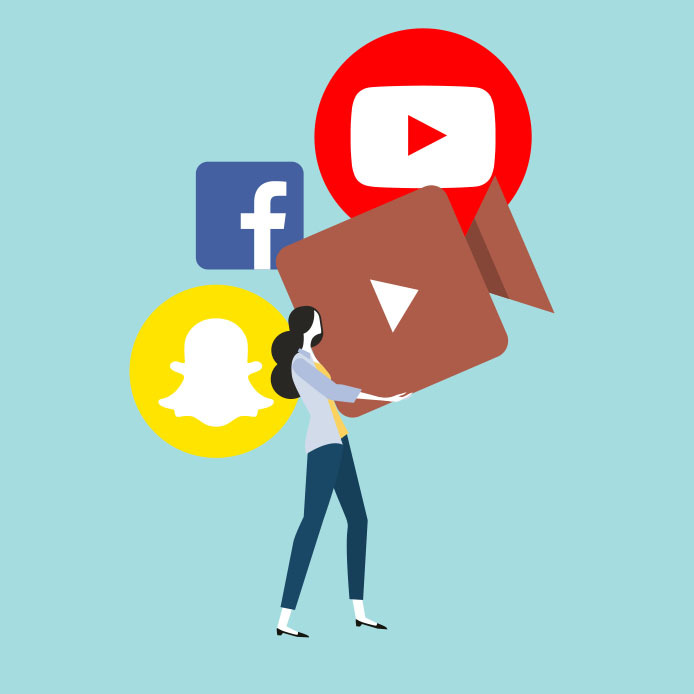 We mentioned TikTok earlier and it’s important to understand just how huge video content is becoming. Whether you’re interacting with your followers on Instagram stories, liking and subscribing to the most influential YouTubers, donating to your favourite Twitch streamer, or doing a Facebook live video selling pearls shucked straight from an oyster (trust me it’s a thing), you’ve either created or interacted with video content at some point recently on social media. Something that’s safe to assume is that video is here to stay. Technology is making it easier and easier to view high quality video on our smart devices, virtual reality is starting to make it’s way into our homes and the proliferation of streaming services goes to show you how much we love ignoring our loved ones to watch video. What used to require expensive equipment and editing software can be done with just your smartphone or tablet. Apps like Quik by GoPro can take your existing video content and automatically add music, transitions and text, all of which you’re free to edit so it’s more in line with your personal brand. If you’re looking for something a little more professional but still able to be used on your phone, Adobe Premiere Rush CC will require you to be subscribed to one of Adobes subscription plans but you’ll have a great amount of freedom in how you want to edit and share your content, no matter where you are. Once again, research can be an invaluable tool here to find out if and how you want to use video. Take a look at your competitors, so what they’re doing and if it’s working well. Are they getting a lot of engagement or are they putting up painful attempts at going viral and only getting a few likes from their friends for all their effort? If your focus is social media you know that the trick is to make something that took a lot of hard work look effortless, so take your time, practice, make sure you’re putting your best foot forward. Obviously, video is going to play into this as well, but we’re talking about in a more general sense. Look back on your posts for the last year, what worked and what didn’t? If you look at your most popular posts do you see any patterns emerging? It could be anything from the hashtags you used, colours, the tone of voiced you use to caption your post or really any number of factors. Having a years’ worth of data to look at can help you make informed decisions about how to move forward in the new year. The same can be said for your less than stellar posts. Study your strengths and weaknesses so you know how to accentuate your best features while beginning to work on where your skills may be a little lacking. If you’re looking for inspiration as to the type of content you should be putting it out there’s are a bucket-load of national and international days of (insert thing here) that automatically provide you with some set days where you can easily reach a wide audience. As stated with hashtags though make sure that if you’re going to capitalise on one of these days that is relevant to you, or go for something that is enjoyed by a wide enough amount of people it doesn’t appear you’re reaching for relevancy (World Nutella Day is February 5, just saying). Whatever your personal brand is, you should be focusing on current, relevant content that your followers are going to want to see. Get a pen and paper, make a list of 10 ideas for posts….. then chuck out that list because you’ve probably just come up with your least original ideas and start again! It’s a cliche but hey, it works. With all of that out of the way you should at the very least have an understanding of what value you offer to your followers and what things you need to work on to improve engagement or increase your popularity further. Never be afraid to try something you haven’t done before. Maybe it’s time to start that podcast you’ve been writing in your mind for the last 6 months, maybe you and your friend actually ARE that funny. You won’t know until you try and there’s no time like the present. 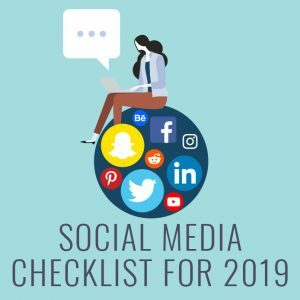 Succeed in 2019 with our Social Media checklist. Whether you're on Facebook, Snapchat, Instagram or even Pinterest you'll find something useful here! How Much Does SEO Cost in Australia? SEO Pricing Models Article Forge 2019 Review – Is It Any Good?